In Postcards > Show & Tell. The old man who lived across the street from my shop, Peter Tedesco, Took up photography around 1922. He took a lot of photos, and had a lot of equipment left in his basement. 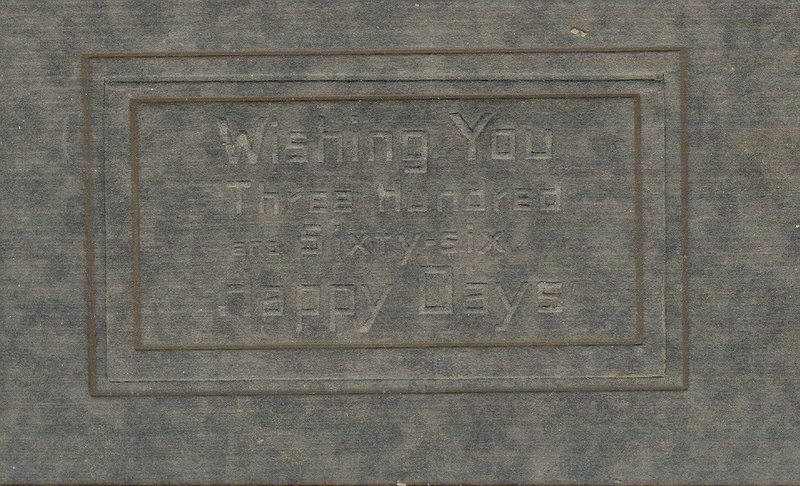 Amoung the stuff were 2 calander blanks for 1922. All one had to do is put in a 4 x 6 postcard. I put a repro. 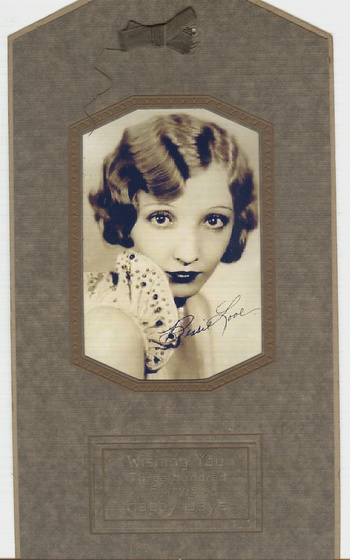 of "Bessie Love" in the opening. I wish I had the origional. Photo #1 shows it with the little door closed. #2 the door. 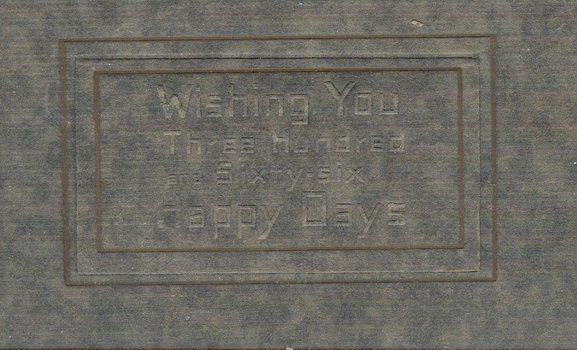 It sez " Wishing You Three Hundred and Sixty-six Happy Days. #3 whats behind the door. 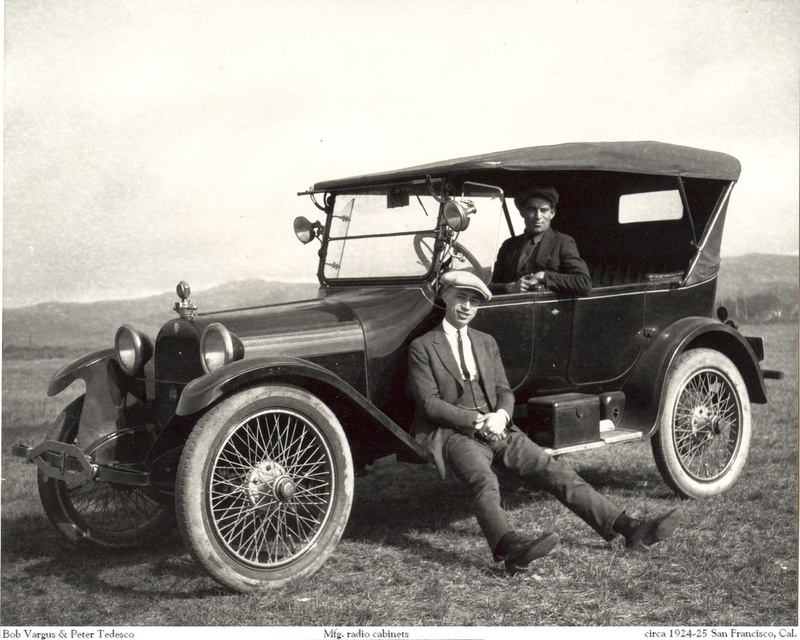 #4 shows Peter sitting in his new 23 dodge with his partner Bob Vargus on the bumper. They were in the radio cabinet mfg. business during this time. Peter died 2 weeks before his 100th birthday in 2000. I was privileged to know him. We had many conversations. He saved everything.